Even though it's overwhelming to try to condense a weekend of Britmums Live into one blog post, I'm going to try - starting with a big thank you to my outfit sponsors - Marks & Spencer and TK Maxx. Both brands made the 'OMG - what will I wear??!' dilemma disappear with some wonderful separates that combined to make the perfect capsule wardrobe for a tiny cabin bag. The afternoon was really informative - I attended a branding session about blogs and brands working together, followed by a session about creating a media kit, with some wonderful advice from Helen Willis (Actually Mummy). I attended sessions on the legal aspects of blogging and managing accounts but my favourite session involved the fabulously be-spectacled Alison Rothwell who educated us in the mysterious (to me) area of Search Engine Optimisation (how people find your blog online). It's less of a mystery now - thanks Alison! Lunchtime saw me meet another of my style blogging online friends who I've never met in real life - the lovely Emma from Fashion Mommy and then we all headed down for the most eagerly anticipated session - the Style one - why so, I hear you ask? Then it was airport time and I had the difficult task of trying to cram the contents of a generous goody bag into the afore-mentioned tiny cabin case. I finally pulled into the driveway at 11.45pm on Saturday night. Phew! 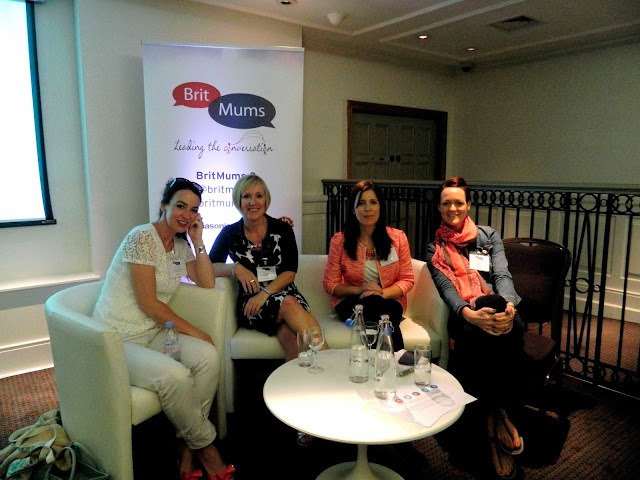 Would I recommend Britmums to other bloggers? 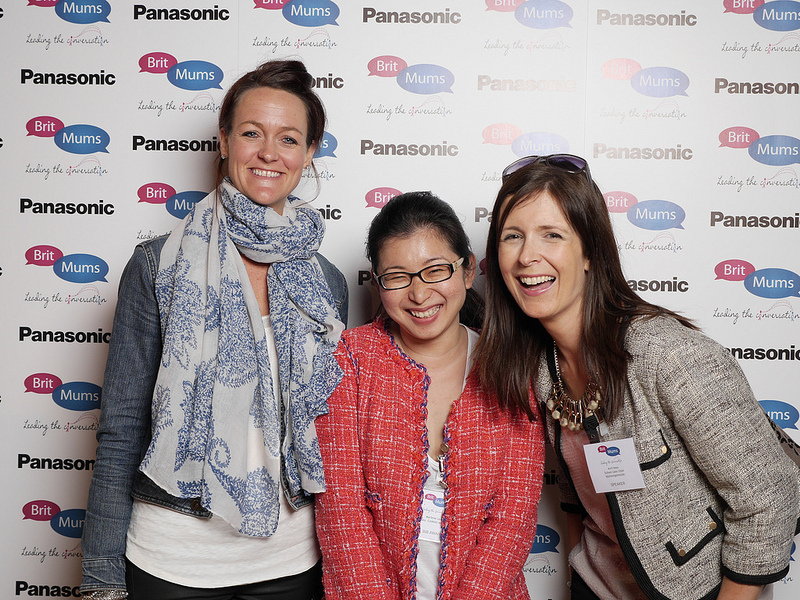 I think it's a great event if you're a parenting/general lifestyle blogger and particularly if you're a newbie. It gives you the opportunity to liaise directly with brands and sign up to become an ambassador for well known companies like Panasonic and Butlins Holidays. For style bloggers the brand presence is less relevant BUT if your blog is new, you will find tons of useful information about what you need to do to get it noticed, make it look amazing and start earning money from it. Two fabulous outfits Avril......really love the orange and dark denim. What a fab weekend too. You looked amazing all weekend - even after our fresh walk in the rain - I'm sure you must wear a wig because your hair was PERFECT when you woke, PERFECT through the rain and PERFECT when we said good bye! Fantastic post and well done for getting it all into one! I love both outfits - both necklace and the jacket in the first picture look much better on you. I was so tempted, I have signed up for the event for next year. Hope to finally meet up with you then. I forgot to add, one of our IT teachers is called Alison Rothwell - how spooky is that? Sounded like a great but hectic weekend Avril. I'm LOVING that orange outfit, one of my favourite I've seen on u! M&S have some gorgeous stuff, especially that necklace and shoes. Having seen 1 outfit up close, I could say your outfit was perfect. You looked absolutely fantastic. I'm still rather cheesed off that they didn't film yours and Fiona's segment on Fashion. Without the two of you, I probably wouldn't have survived the night. Do you know what - I am also loving the orangina outfit - it really makes you stand out in a good way. And I love the photo of the three of you with proper real laughing. It sounds like such a fun night - wish I could have been there. And thank you for the heads up on the event. Sounds very useful for bloggers who want to maximise their potential. Woot! 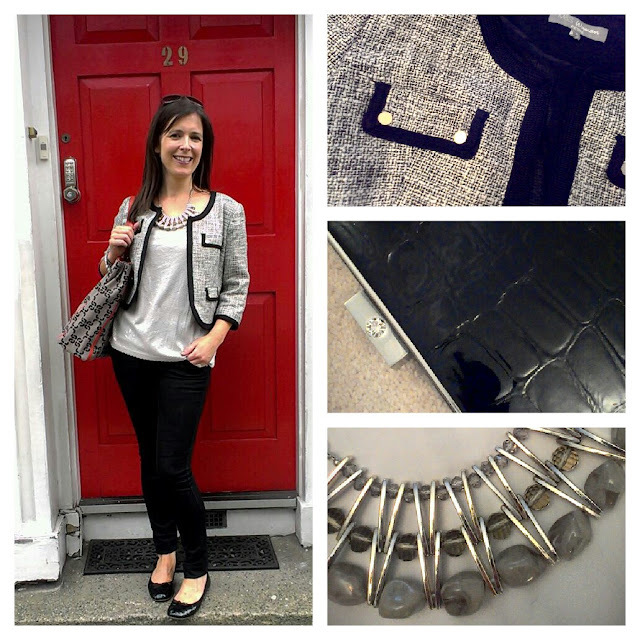 It was lovely to meet you Avril - your blog has really helped pull my style together [WIP] and thanks so much for the shout out! 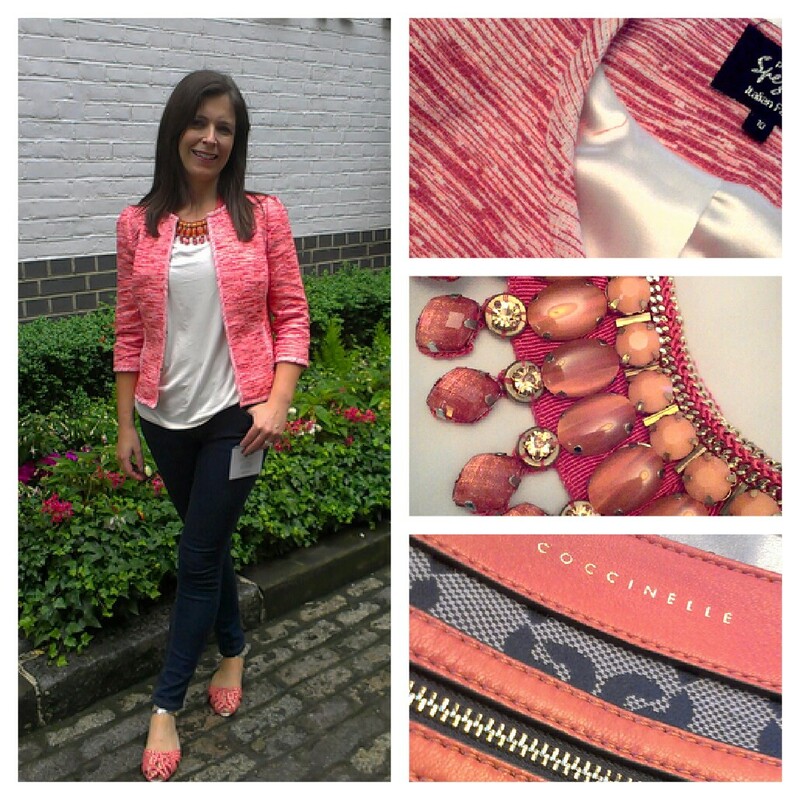 Love your necklace in the top post and the jacket & shoes for day two. You look great Av, glad you had a good time. Love both outfits, but particularly the orange one. It really suits you. Sounds like both an interesting and fun weekend. Fab pic of you, Marlene and Fiona. Sounds like lots of fun - I love that Panasonic photo! Many of those workshops would have suited all my questions...maybe next year!! Ooooh I just spotted that I was getting lots of referrals from you! Thanks so much for mentioning my session and linking! It was a fab weekend wasn't it? !